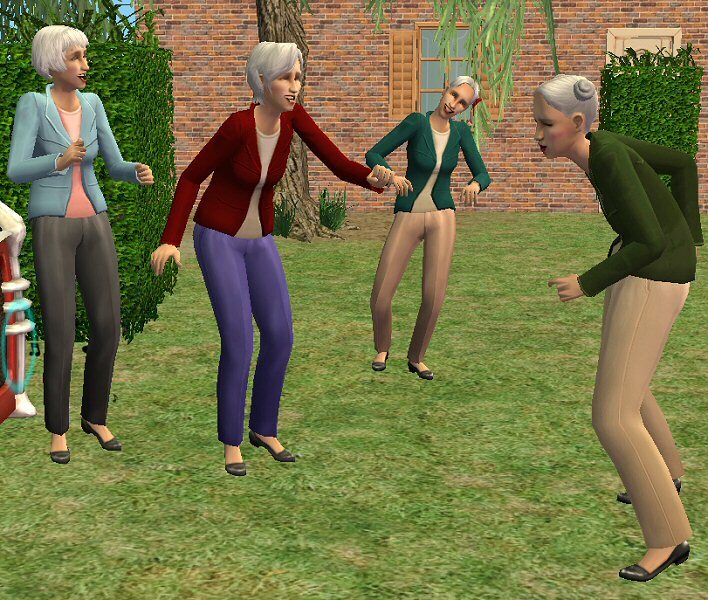 In the social groups forum we have set up "Gran and Gramps Closet" to make separates for elder simmies. The main goal right now, is to make separates that are compatible with eachother to make mix and match easy. All meshes will be based on the same basics, all bottoms untuckable and all tops are either untuckable based on the untucked top from Hysterical Paroxism or 3d untucked like the tops from Tamo and Bloom, to have a more versatile waistline. 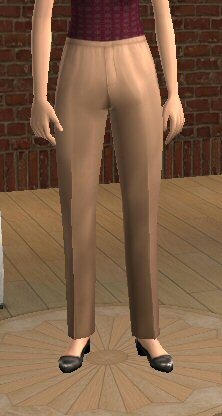 This is my first upload, an 3d untucked top from efbodyjackethighcollar and a Default Replacement mesh for the efbottomslacks mesh both from the basegame. You don't need any stuff- or expansionpack to use these meshes. Textures packed separate, all categorized as casual off course, meshes have a working fatmorph and the UVmap is packed with the mesh. 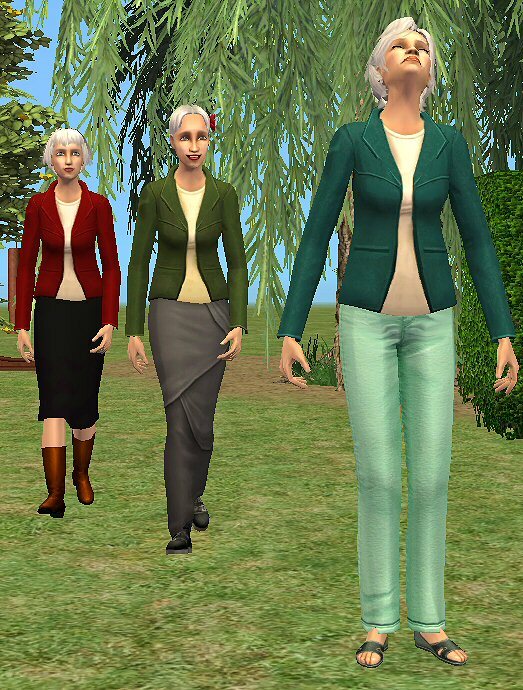 The other 3 efbottom meshes for elder female that came with the basegame, (cowboypantsboots, slacksheels and slinkyskirt) already have an untuckable Default Replacement mesh uploaded by CatOfEvilGenius. Please go to her profile page for them and more!! This mesh is an alpha mesh and 3d untucked, made in the same way Bloom has made the af-and efFoodjudge top, to avoid any parts of the toptextures to appear on the bottom parts and vice versa. Duplicate textures removed with tutorial/tool from CatOfEvilGenius. DR-Mesh-Coc-efbottomslacks no extra textures yet to avoid confusion. This mesh will only replace the shape of the mesh and all its related textures and excisting recolors for it. 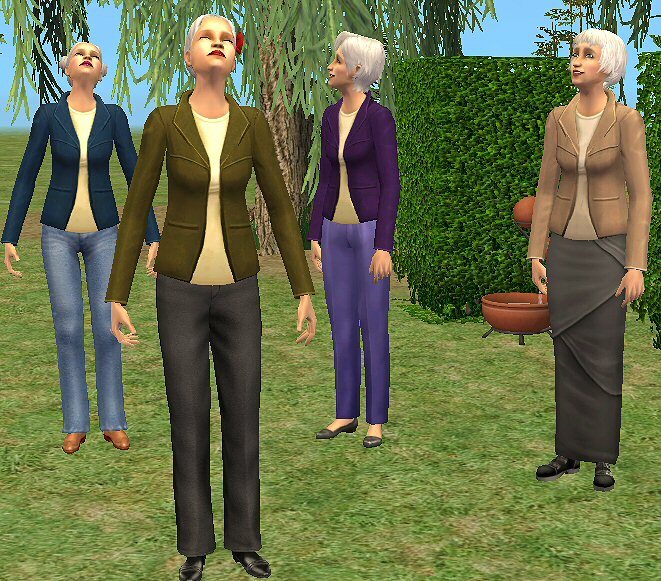 If you take it out of your Downloadsfolder, your clothing/textures will revert back to the old shape again. 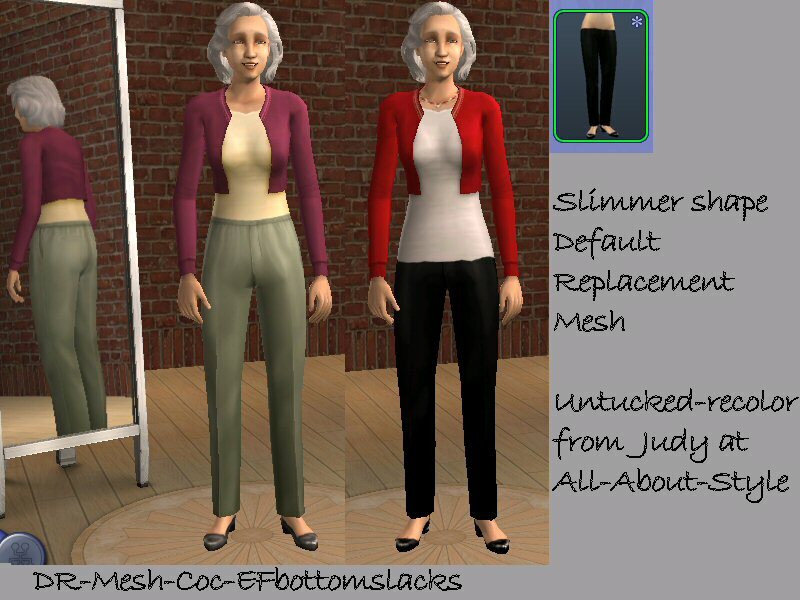 Bloom also made a Replacement mesh that is untuckable and has altered bone-weights, but my mesh also has a slighty different shape in the hips, to make it more compatible with our other separates. You can use only one Default Replacement for this mesh. Big thanks to the SimPE team, and all the other nice people here on MTS2 for the tools and tutorials that made it possible to MTS2! 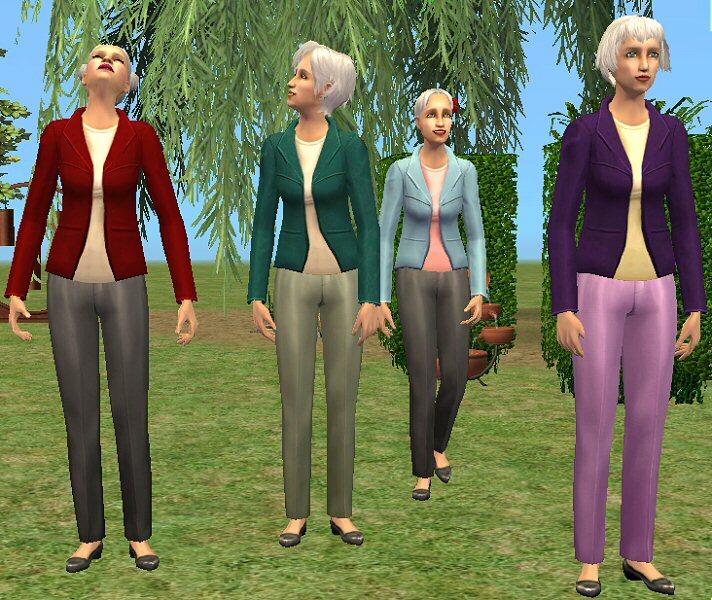 Special thank to CatOfEvilGenius to get me interested in separates again, and for her generous helpfull instructions, tutorials, tools and encouragement. These recolours may or may not be endorsed by Cocomama.